Oh, and then there’s “that” study on non-celiac gluten sensitivity (NCGS) and the low FODMAP diet, that’s been making all the headlines lately, that I really want to talk about, to clear up any confusion about whether or not NCGS is real. For the record, I think all these headlines are, quite frankly, rubbish. This easy to make recipe featuring sweet potatoes, Greek herbs, and feta cheese will quickly become a "go-to" healthy side dish! 2 large sweet potatoes peeled, cut in 1/2 width wise, & into 1/4 to 1/2 inch "fries"
Pre-heat oven to 400 degrees fahrenheit. Place cut up sweet potato fries on a baking sheet and drizzle with oil. Use your hands to toss well, making sure all of the sweet potato fries have been coated with the oil, then spread them out on the baking sheet in one layer and sprinkle with Greek Seasoning (or any dried herbs/spices you are using), sea salt, and fresh ground black pepper. Remove from oven, place on serving platter, and sprinkle with feta cheese before serving. Gluten-free & vegetarian. A small serving (limited to 1/2 cup of sweet potato fries) and without garlic or onion, may be suitable for a low FODMAP diet. I must preface my comments below this by stating that I am NOT someone who believes that everyone needs to be on a gluten-free diet, and that gluten is the root of all our modern health problems. Not at all. In addition, I have utilized a low FODMAP diet with many of my IBS clients, most who have experienced partial or almost complete resolution of their GI symptoms with the diet, so I definitely think FODMAPs are problematic for some people, but I don’t believe that means NCGS doesn’t exist. If you haven’t read it before, you can read my story here about why I follow a gluten-free diet. Overview of the study: Double-blind cross-over study where patients were randomly assigned to groups and given a 2-week low FODMAP diet, followed by either a high-gluten, low-gluten plus whey, or control (whey) diet for one week. After a 2 week washout period, 22 patients were given gluten, whey, or a control diet for 3 days, and GI symptoms were observed. It’s important to note that the study was done on only 37 patients with self-reported improvement of IBS symptoms on a gluten-free diet, and that the dietary treatment arms were only 1 week and 3 days respectively. Outside of fatigue, the researchers only looked at whether or not digestive issues, including abdominal pain, bloating, and nausea improved on a gluten-free diet, as opposed to a whole host of other non-gastrointestinal (GI) symptoms of NCGS including, but not limited to: depression, anemia, “foggy mind”,joint pain, osteoporosis, and leg numbness. Dr. Alessio Fasano, a gastroenterologist at Massachusetts General Hospital in Boston, and a well published author on celiac disease, NCGS, and zonulin and intestinal permeability, has commented on the study, and been quoted in this recent story in The New Yorker, as stating “There is no question in my mind that it (NCGS) exists,” and that by limiting the study to IBS patients, the researchers may have “studied the wrong population,” by excluding patients whose main issue is gluten as opposed to FODMAPs. Dr. Peter Green, a gastroenterologist at Columbia University Medical Center in New York, N.Y., and author of Celiac Disease: A Hidden Epidemic, has commented in this article, that while both FODMAPs and gluten may play a role in IBS, there could be other proteins in wheat causing discomfort as well, and that “this study adds to the confusion”, due to the complex nature of IBS. My nutrition philosophy is more “50 Shade of Grey” than black and white. Sensationalized headlines, like those I quoted above, do a real disservice to everyone, and are, quite frankly, a slap in the face to anyone who knows that their NCGS is real. Although there are no doubt many people following a gluten-free diet who probably don’t need to be, non-celiac gluten-sensitivity is not fake, bogus, or all in my/your head, and I look forward to seeing this discussion (and the research) continued. If you would like to read more, I recommend the following: Freeing the Gluten-Free, Separating wheat from chaff in gluten sensitivity, Gluten Sensitivity May Be a Misnomer for Distinct Illness to Various Wheat Proteins. P.S. As always, it is very important to consult with your physician for testing to rule out celiac disease before attempting a gluten-free diet. To date, there is no recommended or validated methods to test for NCGS, as it is diagnosed by process of exclusion. Have you read any of these studies? Do you follow a gluten-free diet, and if so have you been diagnosed with celiac disease, NCGS, or IBS? What’s your take on headlines like these? 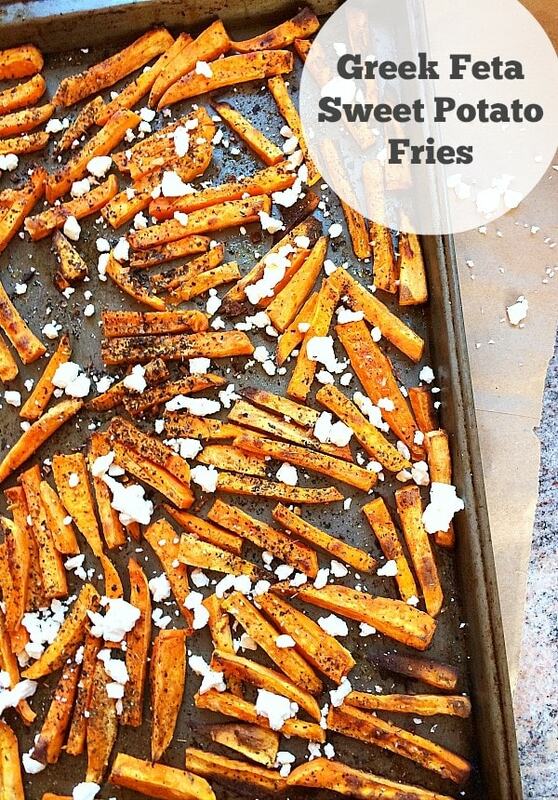 Will you try making these Greek Feta Sweet Potato Fries??? I would love to hear your comments, and if you enjoyed this post, I appreciate you sharing it as well! My Top Gluten-Free Travel Tips, Hiking Adventures, Mom Confessions, a Free E Cook Book & More! 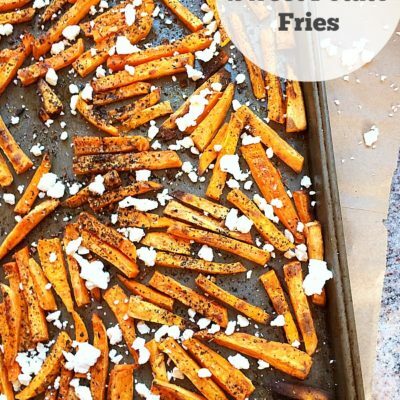 My kids don’t normally like Sweet Potato Fries, but they LOVED these with the feta cheese and Greek seasoning. Great recipe! Thanks so much for chiming in here with your comments and experience Kellie! I’m working on writing a CEU on leaky gut syndrome, and there’s some research about LGS brought on by radiation and chemo, so what you say makes a lot of sense. I always appreciate you sharing your expertise-your patients are lucky to have your support! This is so chock full of great information and links. Thank you so much for getting this out there EA. LOVE that you said this, “My nutrition philosophy is more “50 Shade of Grey” than black and white.” Mine too! There is no ONE solution for everyone, and IBS and Gluten Sensitive alike are nuanced and complicated issues. I look to experts like you when I want to weed through hype. My hope is that enough people will read beyond the headlines. First off the recipe – this just reminds me that I still have to make those awesome polenta fries of yours! And now will be adding this to my “fries to make” list. 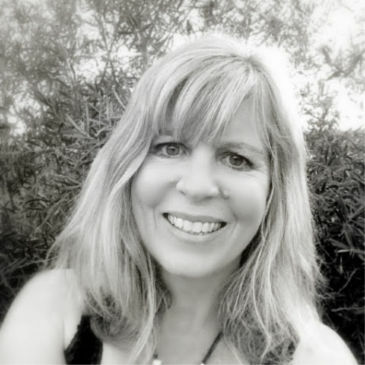 This post is so timely – just did a Myths & Trends in Nutrition talk at Eat Write Retreat this weekend and I would have stolen your line of a “50 Shades of Grey” nutrition philosophy! Glad you wrote this post – both your nutrition background and personal issues with diet really help give perspective to this study. I couldn’t agree more EA. I don’t believe everyone needs to be GF. Nor do I believe everyone who is GF needs to be. But I also am amazed at how quickly so many RDs were to jump on the study as the “proof” that NCGS isn’t real. And as for the potatoes, YES. I’d love to make these!! Omg we love Greek fries but the only time we have them is when we splurge and buy the fried version. I am so making these at home with sweets!! These are so easy Liz, and although they aren’t as crispy as the fried version, you can not go wrong with the feat cheese on top! I notified my hubby kept going back for seconds, and thirds, and, dare I say, fourths 🙂 Let me know how you like them!